Kristin Lewis International is a nonprofit organization whose purpose is to provide educational and developmental opportunities in classical music and dance to young artists. Our mission is to facilitate experiences for selected individuals that provide practical and professional knowledge in order to further refine their talents and aid in their artistic enhancement. We accomplish our goal by engaging leading professionals in the areas of opera, symphonic music and dance, in order to teach or mentor emerging artists. In addition, we offer financial scholarships and present classical music concerts and operatic productions. 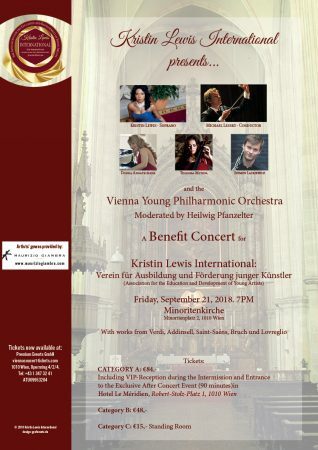 “Kristin Lewis International Presents,” the yearly, benefit concert series featuring classical music concerts, operatic and other genre performances, will inaugurate on September 21, 2018, at the Minoritenkirche (Minoriten Church) in the center of the city in Vienna, Austria. This concert will begin at 7pm. The Austrian conductor Michael Lessky comes from a highly musical Viennese family with roots in Upper Austria. His training as a conductor was with Karl Österreicher at the Vienna Music Academy, acquiring additional important impulses by frequently assisting Claudio Abbado at the Vienna State Opera as well as with the Gustav Mahler Youth Orchestra. 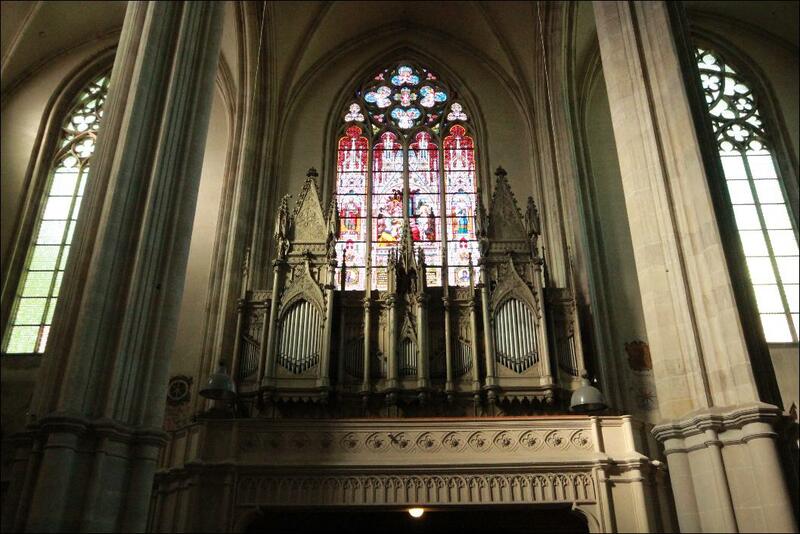 In addition, he studied law, piano, organ, church music and the theory of jazz in Vienna. In 1995, together with Ildiko Raimondi, Hans-Peter Blochwitz and Bernd Weikl as soloists and the Austro-Hungarian Haydn Philharmonic Orchestra, he made his successful debut in the Vienna Musikverein conducting Haydn’s Creation. 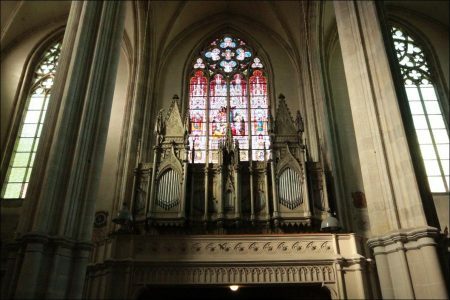 This was the starting point for many successful concerts with masterpieces such as Verdi’s “Requiem“, Mozart’s “C-minor Mass“, Bruckner’s “Te Deum“, Brahms’ “Requiem” and numerous works of French and Italian repertoire. Maestro Lessky conducted successful productions of the “Magic Flute“ and “Nabucco“ with the St. Margarethen Opera Festival in the seasons 1999 and 2000. These productions were integral in establishing the festival as the second largest open air operatic summer festival in Europe. 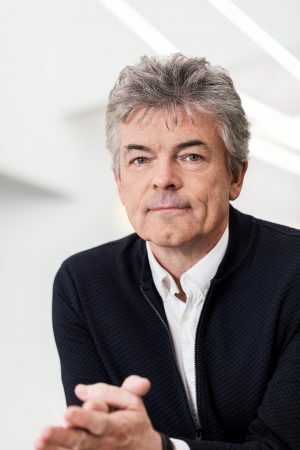 In 1997 Maestro Lessky founded the Austrian national youth orchestra “Vienna Young Philharmonic Orchestra“, which under his direction became the Austrian “elite orchestra of the next generation”, according to Austrian radio ORF and the daily paper “News”. 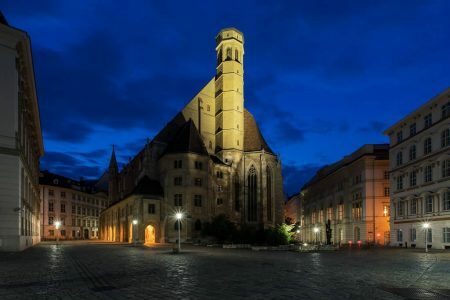 In 2001 Maestro Lessky was invited to the Histria Festival in Pula to conduct Verdi’s Requiem; and in 2002 he conducted Mahler‘s 2nd Symphonie at Vienna’s St. Stephan cathedral. In 2003 and 2004 he and his orchestra were named official “Cultural Ambassadors“ of Austria in China. By the Mozart-Year 2006, he was elected to conduct a new “Cosi fan tutte“ production in Vienna; and José Carreras choose him as musical director for his project entitled, “Belle Epoque,” with CD-production and Gala-concert at Wiener Konzerthaus. A highlight in the 2007-08 season was the Wiener Musikverein “10 Year Jubilee Concert“ of Junge Philharmonie Wien, with guest opera stars Agnes Baltsa and Ildiko Raimondi. In 2009, Maestro was engaged for the Jubilee Concert of Vienna’s Schubert Society with “The Great“ symphony at Wiener Konzerthaus. 2011 invitation to the “Austria Festival“ in Germany, Saarbrücken with a program of Webern, Liszt, Willi and F. Gulda. At Wiener Konzerthaus, he conducted the Requiem of Mozart. In 2013, he was engaged for two Wagner-Galas with soloists of the Bayreuth Festival in Germany with excerpts of all operas of Wagner. In 2014 were acclaimed performances of Schönberg‘s „Pelleas and Melisande“-symphony, Beethoven‘s Violin-concert and a new collaboration with Accademia of Teatro alla Scala in Milano of Rossini’s Stabat Mater. 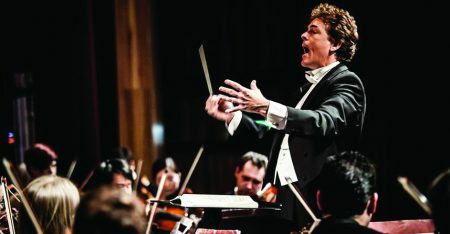 In 2015 Maestro Lessky was a guest at Ravello-Festival in Italy and for the first time in South America at Grand Teatro Nacional in Lima with Mahler‘s 4th symphony and Berg’s Violin-concert. He has released CD recordings of Mahler Symphonies Nos. 2, 4, 5 and orchestral songs of Strauss, Schubert, Mahler, Zemlinsky, Webern with Vienna state opera’s sopano Ildiko Raimondi and of particular value the live recording made, too, with Vienna State Opera’s soloists at Vienna’s Redoutensaal for Sony BMG. 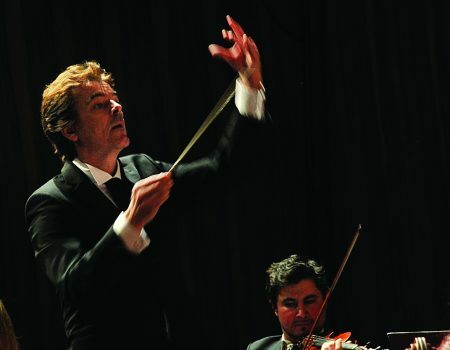 During the 2018-19 season, Maestro Lessky will be featured as Guest Conductor of the Malta Philharmonic Orchestra and the Orchestra Sinfónica del Sodre Montevideo. A long-standing television and radio presence makes Heilwig Pfanzelter one of the most famous voices in Austria. Born in Bludenz, Vorarlberg, she studied acting at the Landestheater Innsbruck, with vocational training from Ingrid Olofson and Marcelo Onofri. 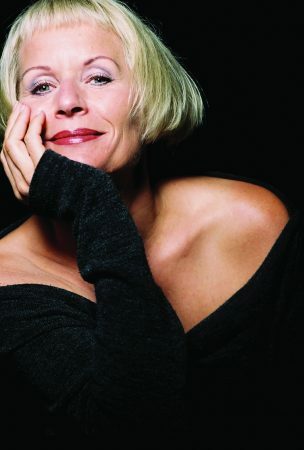 Since 1986 she has lived in Vienna, and has received acclaim from theater engagements and solo appearances in the Metropol Wien, Theater Drachengasse Wien, Goldener Musikvereinssaal Wien, French Embassy Vienna, Brucknerhaus Linz, Schloss Landeck, Kongresshaus Millstatt and many more. She is a moderator for company events, a spokeswoman of industry, corporate video and advertising and is a telephone band voice. She is a teacher of voice and rhetoric, and is a speech therapist. Hailed as “A whirlwind at the piano, a sensitive musician with excellent technical skills and phenomenal pianistic expression,” the Austrian concert pianist of Bulgarian descent, Donka Angatscheva, made her debut as a soloist with the Plovdiv Philharmonic Orchestra at the age of ten. During her youth, she studied with Milena Mollova (a student of Emil Gilels), and furthered her studies with the famous pianist and teacher Heinz Medjimorec, a member of the Haydn Trio, at the University of Music and Performing Arts in Vienna. She performs frequently with her ensemble, Trio d’Ante, including Vienna’s Musikverein in 2006 and 2010. She completed her chamber music studies at the Queen Elizabeth Music Conservatory in Brussels. With an impressive discography of eight CDs, Ms. Angatscheva has performed at famous music venues and renowned festivals including Fundación Carlos de Amberes in Madrid, Sala Maria Cristina, Málaga, Apolonia Festival, Bulgaria, Kunstzentrum Art St. Urban, Switzerland, Tonhalle, Zürich. Her Trio was invited to the Festival de Radio France et Montpellier, Festival de musique de Menton, France, and to the Chopin Festival at the Cultural Centre Flagey in Brussels. She has also performed in the Mozart Hall of Vienna’s Konzerthaus, and in the Great Hall of the Palais de Beaux Arts in Brussels. Ms. Angatscheva has been a piano lecturer at the Conservatory of Music in Vienna since 2013 and since 2018 at the well known Amadeus International School Vienna. In summer 2019 she will be artistic director at the first International Beethoven Youth Piano Chamber Music Competition in Switzerland. Teodora Miteva was born in Ruse, Bulgaria and started playing the violin at the age of four, under the guidance of her mother. However, one year later, she discovered her love for the cello. 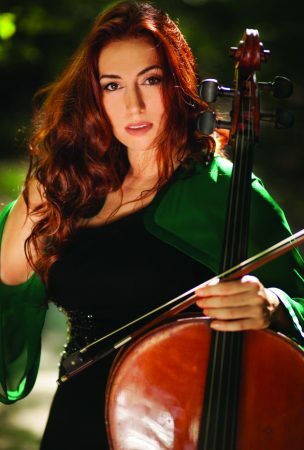 She made her solo debut with orchestra at the age of 18 in her hometown, performing Lalo’s Cello Concerto. A few years later she was granted her Master’s degree with honors at the University for Music and Performing Arts in Vienna, as a pupil of Prof. Valentin Erben (Alban Berg Quartet). She has performed as a soloist with several international orchestras, including Orquestra Philharmonica de Salta (Argentina), Orchestra Estivo di Cervo (Italy) and Orquesta Philharmonica de Quito (Equador). During the “Haydn-Years,” she played the Haydn cello concerto in C Major in the well-known concert Brahms Hall and Golden Hall in Vienna’s Musikverein under the batons of Christian Schultz and András Deák. Ms. Miteva has performed as a soloist at the “Wieder Festwochen”, in the City Hall Hong Kong, at the Bourglinster Festival in Luxembourg, at the Aaron Copland Festival and many other international musical festivals. 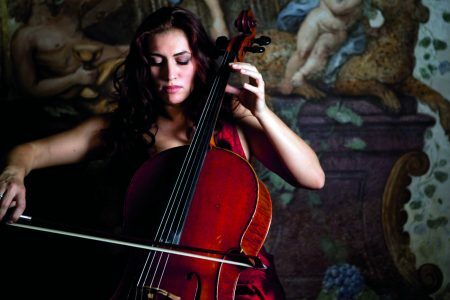 She is an award winner of the Cello Competiton in Bulgaria and has been awarded famous scholarships, such as the Herbert von Karajan Centrum and the Alban Berg Foundation. Together with Peter Schmidl, the Solo Clarinet player of the Vienna Philharmonic, Ms. Miteva has recorded Clarinet trios by Beethoven and Brahms for the Naxos Label. Ms. Miteva has been enjoying a very successful performing career with her ensemble, Trio D’Ante, which included being awarded first prize in 2007 at the International Chamber Music Competition in Thessaloniki, Greece. Thanks to their outstanding performances in many prestigious festivals, the ensemble also won a scholarship for the renowned Queen Elizabeth College of Music Academy in Brussels, studying with the Artemis Quartett. In 2010, the ensemble’s debut album was published by Gramola with works by Astor Piazzolla and Enrique Fernandez Arbós. The CD presentation had a great success at the Vienna Musikverein, in Switzerland and in Spain – with an excellent resonance in the Austrian media and the international press. In 2010, Trio D’Ante played in the Mozart Hall of the Vienna Konzerthaus, which was followed by an Austrian tour organized by Jeunesse in the 2011/2012 season. Ms. Miteva plays a cello made by Honoré Derazay, Paris 1860. 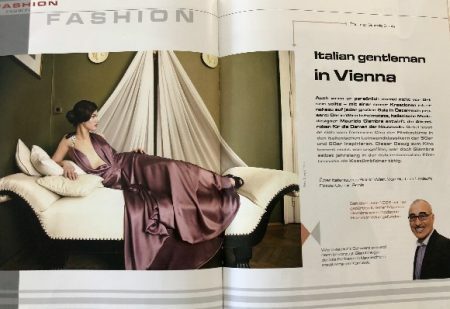 Maurio Giambra – Vienna: Where silks or high-tech fabrics, pure colors and clear cuts become creations of a new classic elegance. Maurizio Giambra of course gets inspired by the glamour of movie icons, but also ventures new interpretations. In 2010 he established his own label “Maurizio Giambra – Vienna” which offers “Haute-Couture for film and music stars on the Red Carpet, wedding and cocktail fashion, prêt-à-porter for business and day” and has its home on Lange Gasse 38, A1080. and R&B and soul singer, Dorretta Carter. Kristin Lewis International has the distinct honor of being granted luxurious gowns from the atelier of Italian fashion designer, Maurizio Giambra. 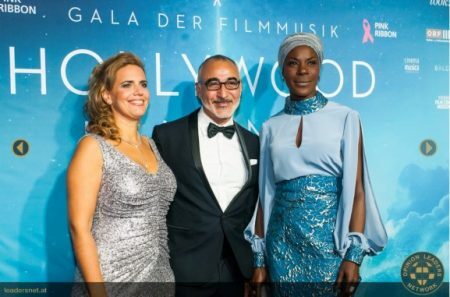 These gowns will be featured during the Gala Benefit concert on September 21, 2018, at the Minoritenkirche, Minoritenplatz 2, 1010 Vienna. 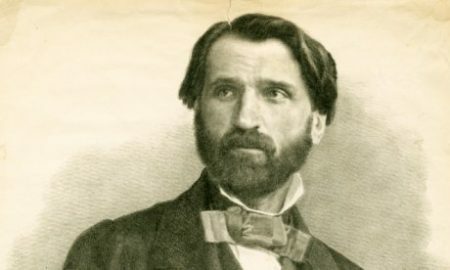 In March 1843, Giuseppe Verdi visited Vienna to oversee history unfolding, as the debut of his opera, “Nabucco,” at the Theater am Kärntnertor would be presented. This theatre, whose official title was Kaiserliches und Königliches Hoftheater zu Wien (the “Imperial and Royal Court Theater of Vienna), was very prestigious during the eigthteenth and nineteenth centuries. Mainly famous composers, including Mozart, Haydn, Salieri, Beethoven and Schubert, Chopin and Schubert all presented their masterpieces there. 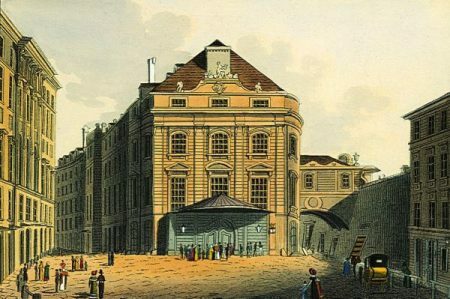 Kärntnertortheater (English: Carinthian Gate Theatre) was very prestigious for being the Imperial and Royal Court Theater of Vienna during the eighteenth and nineteenth centuries. Built in 1709, it stood on the grounds of the present day Hotel Sacher. The Kristin Lewis Foundation, an organization that shines a spotlight on talented, young musicians, is extremely proud of all the wonderful singers who participate in its scholarship program. The fifteen finalists chosen from universities and colleges in America each year are invited to Little Rock, Arkansas for a two-day audition process, in competition for financial awards. Each participant is given an invaluable opportunity to work with esteemed professionals from leading, international opera houses during the scholarship auditions. These singers are among the next generation of great artists who intend to grace the world’s top opera stages. 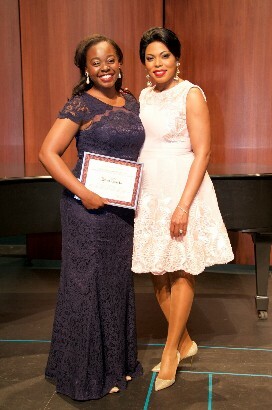 Since winning the Kristin Lewis Foundation’s Young Artist Award in 2016, Ms. Joseph has gone on to win other competitions such as 3rd place in Georgia District NATS, and the 2016 Orchestra Noir Virtuoso Collegiate Concerto Competition where she was awarded 3rd place and an opportunity to perform with Orchestra Noir under the direction of Maestro Jason Ikeem Rogers. Her most recent performances were as Donna Anna in Don Giovanni and Micaela in Carmen with the GSU Opera Theater under the direction of Mr. Carroll Freeman. “When I received the 2016 Kristin Lewis Young Artist Award, I was completely shocked and humbled. It is often rare to find artists who are so willing to give back to their community and finance the dreams of young singers. Furthermore, Ms. Kristin Lewis took the time to speak to every one of the contestants and make them feel so special and recognized. Not only was this competition rewarding financially, but also educationally. The one-on-one time with the judges after the preliminary round was so beneficial and insightful…”. 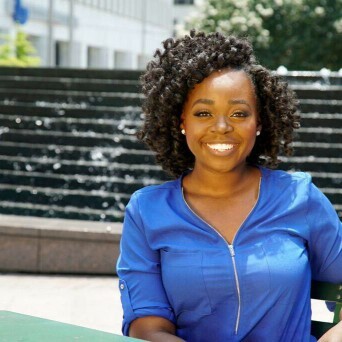 Melissa attended Georgia State University where her talent and hard work earned her a full scholarship with a Graduate Assistantship. In May 2017 she graduated from GSU with a Master of Music Degree in Vocal Performance. In February, Melissa was selected as one of 10 finalists in the 2018 Grand Concours Vocal Competition in Austin, Texas. In March of the same year, she was featured in a concert featuring women composers. Under the direction of Harv Wileman, founder of Voices of Reason ensemble, she sang, “I am Moses the Liberator” from Nkeiru Okoye’s opera Harriet Tubman: When I Crossed That Line to Freedom. She has been a featured soloist in art shows and cabarets around the local Atlanta area. More recently, she was cast as Musetta in Peach State Opera’s production of Puccini’s La Boheme. During this fall season she will move to Boston, Massachusetts to further her private studies with Ms. Sharon Daniels, with the intention of obtaining an Artist Diploma in the near future. We wish Melissa all the luck in the world, or, as they say in the opera world, TOI TOI TOI! Hello Kristin Lewis Foundation Friends and Patrons!!! I’m going to be honest with you…it’s been difficult to pin down Kristin for this month’s interview. She is so busy these days. She jet sets all over Europe (which I wish I could also do), and she’s making some major moves as a global ambassador for the Arts and culture… Here’s the latest scoop on what’s going on with my BFF! Amerie: What time is it in Vienna? Kristin: It’s 3:00pm. What time is it in Arkansas…? Amerie: I dunno… the crack of dawn…. Kristin: (laughing) No, I think that it’s around 8:00am. Amerie: It is. Why has it been a month since we last caught up with each other? Each attempt to reach you went straight to voice mail. Kristin: Has it really been a month? I guess that time really does fly when you’re having fun…(laughing)! But sincerely I apologize for having missed your calls. I’ve been expanding the activities of the Kristin Lewis Foundation by creating a second Foundation based in Vienna, Austria. I am very excited about this new venture because it will allow for me to have greater reach toward positively impacting the lives of many others. One of the activities of the Austrian organization, which is called Kristin Lewis International Verein für Ausbildung und Förderung junger Künstler (which translates as the Association for the Education and Development of Young Artists), will hosts its inaugural concert this September. It will be held in a very beautiful cathedral in the center of Vienna. 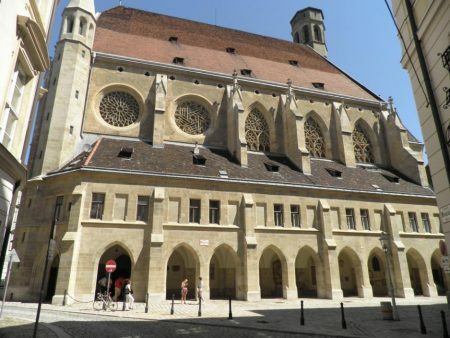 It is called the Minoritenkirche (in English called the Friars Minor Conventual Church). It is a magnificent structure that was built in the 13th century. An interesting fact is that it actually took 100 years to build it. Amerie: Whoa! Wait! You’ve created a new Foundation? Your reach has just become global! I told you that you were going to turn into the Tyra Banks of Opera! But what does that mean? Are you just going to focus on your philanthropy work and take a step back from performing for a while? Are you winding down your career? Kristin: No, absolutely not! 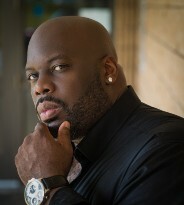 In fact, I am in the midst of preparing 2 new roles that I will debut this season. I will perform the title role in Puccini’s Tosca at the Hamburg (Germany) State Opera; and l will make my American debut at Dallas Opera, singing the title role in Puccini’s Manon Lescaut. So, no, I’m definitely not winding down my career in performances. 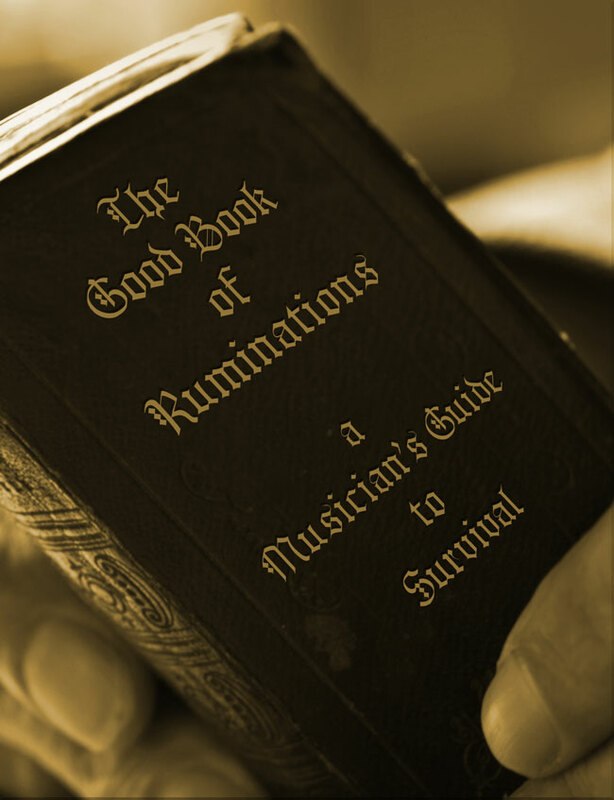 (Laughing) I simply feel called to give back to the next generation of top musicians. Amerie: Now that you’ve gone global, what’s the purpose of Kristin Lewis International? Kristin: That’s a good question. The mission is to provide professional and practical resources to emerging artists, in order to further refine their talents and aid in their artistic development. Vienna is the ideal location because of its many resources. It is a haven for “the best of the best.” To be able to provide an opportunity for young artists to study and further develop their talents gratifies me with a level of fulfillment that is second only to being on stage. South facade with the two rose windows and the neo-Gothic arcades. Amerie: Um… As you continue your Vienna concert series… could you like… ask Adam Driver to come moderate one of your concerts….? Amerie: Yes! He’s my favorite actor. He’s the Supreme Leader of the Galaxy! He’s Darth Vadar’s grandson….Luke Skywalker’s nephew. The child of Princess Leia and Han Solo. And he is a classically trained actor who went to Julliard. Perhaps he would appreciate being a part of this. Kristin: It sounds as if you really would like to meet him…and you’d like my help in doing so. Establishing a connection to Hollywood might be “in the cards” sometime in the future…who knows? (Laughing) I forgot how much you love Star Wars… But please, one step at a time. Amerie: I do. So Jedi mind tricks aren’t gonna work with getting me what I desire? Kristin: (laughing) That’s probably not a good look. Kristin: You did…. (laughing) Is there anything else you’re considering using or have in mind for Jedi tricks? Amerie: No, but I do hope that you will keep progressing and moving forward because this venture has the potential of making a huge impact on the world. Thank you for answering the call to improve the quality of life for others. Thank you for using your superhero powers for good. Amerie: Well, there you have it folks, coming to you straight outta Vienna! A Good Word from Operatic Apostle and Bass, Dr. Morris Robinson. 1Believeth that the place upon which ye standeth is solid ground and follow the path laid before thee. 2Focus thyself not upon the destination, but upon each step. 3Be ye pure in thought and truthful in thine own soul. 4Taketh only wise counsel and do good work. 5When thou ploweth the field, the toll of thine hand shall shewn forth. At harvest ye shall gather ripe fruit and a bountiful harvest.